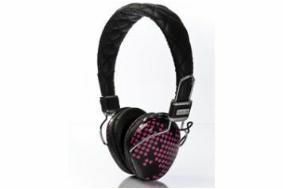 Stylish Audio Chi headphones aim to solve cable problems | What Hi-Fi? Promising to be "fresh and fashion forward with bold use of graphics and trend driven colour ways" the new range certainly has some eye-catching designs. Audio Chi's design team also claims to have solved the twin problems of tangled cables and faulty connections. The woven outer fabric apparenly 'ensures the end of annoying tangles', whilst the detachable cable connection will aim to help eliminate faulty connections. The W-Series utilises Audio Chi's Structural Acoustics Technology and uses the Titanium-Mylar Driver. There are eight different models in the range, and all are on sale now from the Audio Chi website.